Believing that today’s complex problems require interdisciplinary solutions and innovative, technology-based thinking, Thomas S. Roberts (MBA 1989) and his wife, Kristen, were intrigued by the idea of helping Harvard undergraduates with a passion for technology and entrepreneurship become future leaders of innovative ventures. 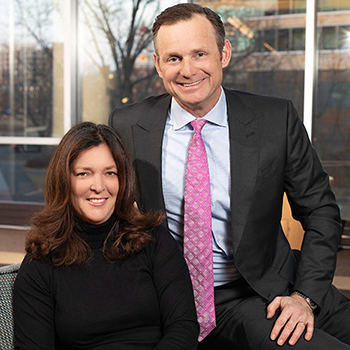 So, the Roberts are excited to be supporting the Undergraduate Technology Innovation Fellows Program and have committed $10 million from their family foundation to endow the new program. The gift is in honor of Tom’s 30th and 35th Harvard Business School (HBS) reunions.